If your air conditioner is acting up, how do you know that the time is right to replace it? 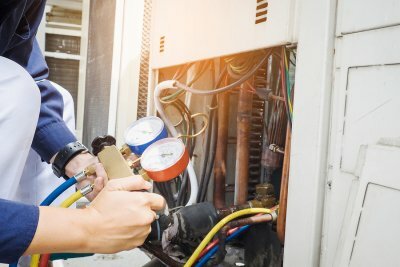 Although the prospect of replacing your air conditioner might not initially be appealing, sometimes getting a new unit makes more financial sense than making more repairs. If you’re weighing the idea of new air conditioning installation in Murfreesboro , here are some signs that now is the right time. Your AC bills are going sky-high. When your energy bills suddenly spike, it is often a sign that something is wrong with your cooling system. You may have a serious issue with the system that needs to be addressed, or your unit could just be so old that it is no longer efficient. Over time, all ACs will eventually lose efficiency, even with regular maintenance. Energy bills that suddenly increase are almost always a red flag of something, so have an expert come out and evaluate your system so that he or she can recommend the right next steps. If your system is not efficient, investing in a new one could save you money in the long run. You are constantly making repairs. It’s natural to need air conditioning repairs periodically, but if you feel like you’ve got your AC repair service on speed dial, it could be time to replace your system. The cost of making repeated repairs could outweigh the cost of replacing it. Likewise, even if the repair costs are minimal, when breakdowns happen repeatedly, making repairs is merely postponing the inevitable. Save time and money and invest in a new AC now. Your repair bill is higher than you anticipated. 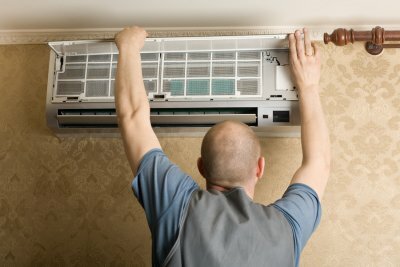 Sometimes, the cost of repairing your air conditioner could be so high that replacing it is a better deal. For repair bills that are more than half the price of a new unit, ask your AC expert for advice. Often, if your system is more than 10 years old, it could be smarter to replace the system than to pay for a costly repair. It is impossible to predict when your cooling system will require repairs. In the middle of the night, a broken air conditioner can leave you stranded in the summer heat. If your air conditioner starts to act up this summer, do not wait to call the air conditioning experts at Quality Heating and Air, LLC . Our air conditioning contractors in Murfreesboro offer 24/7 services, so you can trust us to be on call whenever your cooling emergency strikes. When you are setting up emergency services for your cooling system, you can rest assured that we perform work on all makes of air conditioners. Even if we have never worked on your air conditioner in the past, we will happy to set up an emergency service call for your household. By offering around-the-clock emergency services, we are able to keep our clients cool and comfortable, no matter what time of day it is. Your Murfreesboro cooling system may encounter different problems over its lifetime, and many of those problems are easily prevented. Poor air flow and faulty thermostats are among the most common problems air conditioning contractors see. You can prevent these common problems with routine maintenance and attention from you and your contractors. Let’s take a closer look at how you can prevent these air conditioning problems. A cooling system that is low on refrigerant presents a potentially dangerous situation. 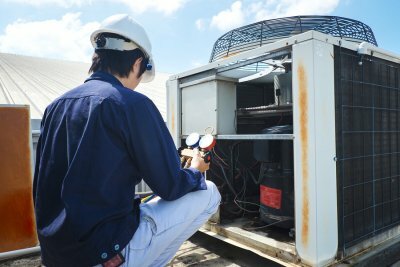 Many cooling systems still require Freon to cool the air, but Freon is scheduled to be banned and removed from all systems by the year 2020. Freon is dangerous to the environment, and it presents health concerns to people and animals who touch or breathe the chemical. If you notice a leak near your cooling system, then call an air conditioning expert right away to inspect the hoses and Freon supply. There are many reasons you may experience poor air flow, and many of these reasons can be prevented with routine maintenance. Your cooling system may have poor air flow due to blocked or clogged registers and vents. Ensure these areas are free of obstructions, dust, and debris. Your air filters may also be clogged and in need of replacing. Change the air filters to your heating and cooling systems every 3 months during spring and fall and every month during the summer and winter months. This routine change will also keep your air free of dust, pollen, and allergens. 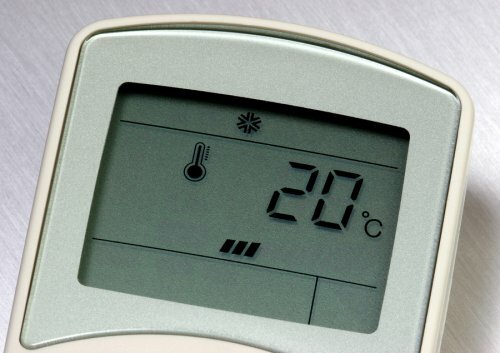 A thermostat may appear to be faulty or have issues for several reasons, such as a wiring problem. You may detect a possible thermostat issue if your cooling system behaves erratically or never shuts off. Examine the location of your thermostat and its surroundings. Remove any lamps or heated objects that might be misleading the temperature readings. If your system continues to run oddly, then consider updating the thermostat and calling your air conditioning contractor to run a diagnostic. Your cooling system is an integral part of your home and your family’s comfort. Improving its performance— and lowing your energy bills at the same time—should be a regular concern and task for you. Read on to learn some simple tips that will improve the performance and life of your cooling system in Murfreesboro. As you can see in this short video, an annual visit from your air conditioning expert is essential to maintaining the system’s performance. Experts can ensure the air conditioning installation was done correctly, clean the entire system, and replace any lost refrigerant. You can also improve your air conditioner’s performance by regularly changing your air filters throughout the year. Consult your air conditioning expert for more helpful tips to improve the performance of your system. Installing a new heating system also means replacing old or worn parts of your entire HVAC system. For example, a new heat pump will likely require a new refrigerant line system to ensure it is free of any acid buildup and leaks. You may require a new thermostat that can better handle your updated system. Your heating expert will also inspect other areas of your HVAC system, such as duct work, vents, and pipes, to ensure they are safe and free of defects. Your heating experts will be running multiple diagnostics throughout the heating installation. These diagnostics are performed to ensure that new parts are working correctly and that the installation was performed as instructed. Diagnostics will likely include testing the gas flow, flushing pipes, and making sure the thermostat and the heating system are connected and communicating properly. It is important that you understand your new heating system. Your heating installers should not leave your house until they have given you a thorough walkthrough of the unit, thermostat, and new parts. This walkthrough should also include different signs to watch in case the unit was installed incorrectly or it is faulty. Use this time to ask any questions or voice concerns over your new heating system. Your heating experts are there to help you fully understand the unit and how it works. If you have further questions after your installers leave, then do not hesitate to call your heating and air conditioning company for more information. Summer is almost here, and that means that you will be turning on your cooling system soon. If it is not ready for summer, then you could experience reduced cooling, higher energy bills, frequent repairs, or an air conditioner replacement near Murfreesboro . Thankfully, there are easy ways to get your AC ready for summer. Read on for more information. As seen in the video, an air conditioning expert should inspect your cooling system every year. This expert will examine the parts, clean out the vents, and ensure your system is running at peak efficiency. You can also help your cooling system by changing your air filters every month during the summer. Speak with your air conditioning expert for more tips and tricks to get your AC ready for summer. Air conditioning experts in Murfreesboro will tell you that AC units can last a long time with proper maintenance . 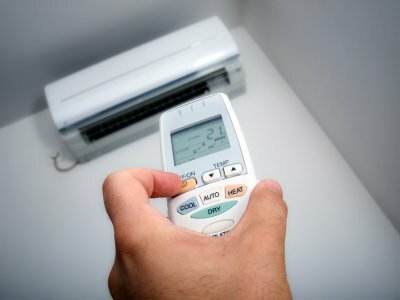 You will not have to look at an air conditioner replacement for up to a decade if you give your current unit the proper time and effort to keep it running at peak efficiency. Continue reading to find out how long an AC unit can last and why maintenance is crucial to its lifespan. Maintenance should come in the form of an annual inspection and servicing by an air conditioning expert. This expert will examine the different parts of your AC unit and how well it functions in different situations. If your AC unit is not serviced regularly, then it will work too hard to cool your home. 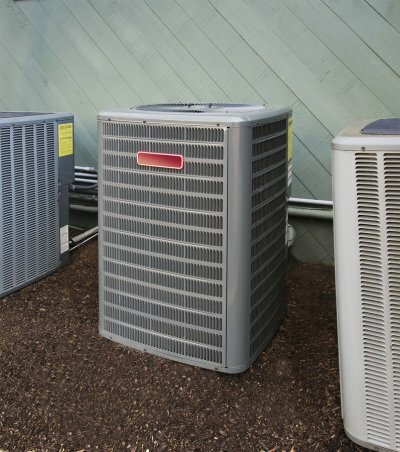 This hard work can raise your cooling bills, and it can cause your unit to break prematurely. However, you can schedule a yearly maintenance appointment with your air conditioning expert, and your AC unit could last for up to 15 years. 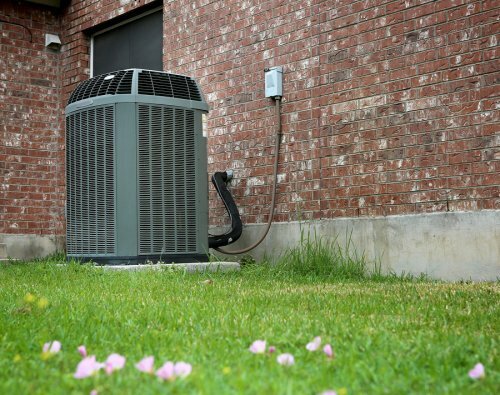 Purchasing a new air conditioner or cooling system in Murfreesboro can be exciting, as there is much to gain by upgrading your HVAC appliances. If you want to make sure you choose the right air conditioning installation for your space, think about how big your home is. You should also keep an eye out for efficiency so you can save money on your energy bills, and be sure to work with a professional air conditioning expert when having your unit installed. Here is a closer look at some of the factors to consider when choosing a new AC unit. In order to choose an air conditioning replacement that will best suit your needs, it’s a good idea to start by considering the size of your living space. An air conditioning installation that’s too small for your home won’t be able to keep each room cool enough, while an air conditioner that’s too big might be a waste of energy. Think about the size and layout of your house before you choose an air conditioner replacement, and talk to the professionals if you’re not sure what size you need. Today’s air conditioning installations tend to be a great deal more efficient than older models, and this gives homeowners an opportunity to save money on their energy bills. Look for ENERGY STAR® ratings when you start browsing for a new unit, and choose a model that will make the most of the energy it uses. The most efficient air conditioning installations will pay for themselves in savings over time, so be sure to do your research and find an air conditioning unit that will bring down your bills. When you choose an air conditioner replacement, you also have to think about the installation process. 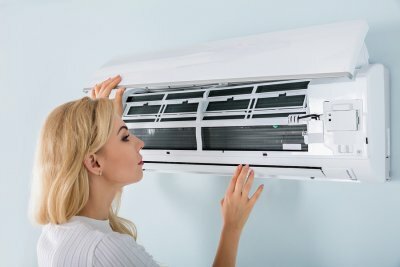 Air conditioning installation is a crucial part of the process, and only the units that are installed properly will work to the best of their abilities. Always work with a reliable air conditioning expert so you can rest assured that your new unit will be installed the right way.